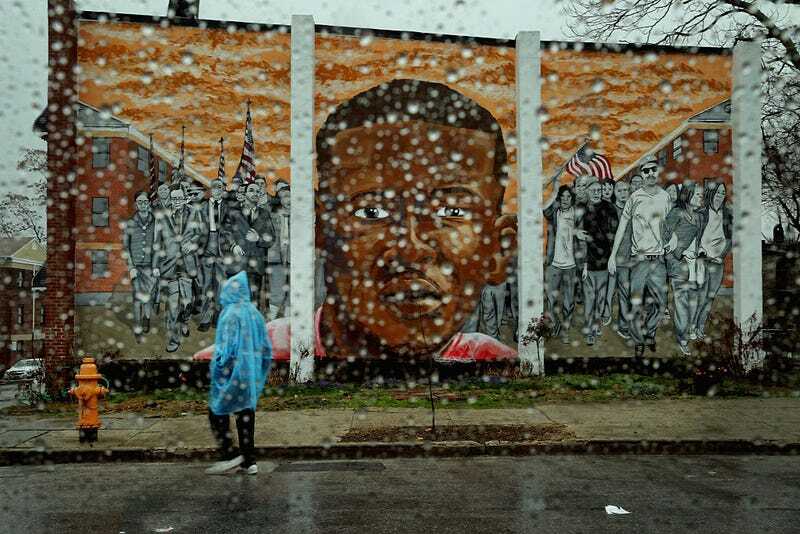 Officer Caesar Goodson, the driver of the police van where Freddie Gray was intentionally given a "rough ride" — an act that severed his spinal cord, placed him in a coma, and killed him — was found not guilty on each of the charges (second degree "depraved heart" murder, three different counts of manslaughter, assault, reckless endangerment, and misconduct in office) stemming from Gray's death. He is the third officer charged in Gray's death to escape conviction. Three more still await trial, but convictions for any of them seem extremely unlikely now. Naturally, this series of events leads you to believe that no one actually killed Freddie Gray. Which, of course, seems preposterous. After all, his spinal cord was severed, he was placed in a coma, and he did die as a result of the injuries he received while in that van. Someone or a group of someones must've done this to him. But its only preposterous if you fail to realize that it's not without precedent. American history is full of instances of Black people 1) getting murdered, 2) having their murderers be known to the public, and 3) having those murders carried out in public with no legal consequence for the crime. Sometimes it's done by officers of the law. Sometimes it's done by neighborhood watchmen. Sometimes it's done by crowds of people. And sometimes — like with the castration, burning, flaying, and lynching of Jesse Washington — the murder becomes a festive and communal event, complete with food, music, souvenirs, and commemorative postcards. Of course, if you're no one; if you're a thing that exists but doesn't actually matter — which is how these dead Black people were regarded by their killers — no one can murder you.